LEIPER STAG AND HIS 5 PULLETS. ALL DIRECT FROM RAT GRAVES. 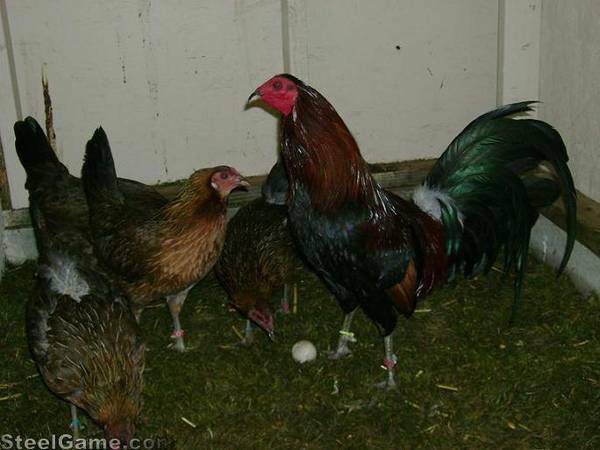 Junior Member Great looking hatch fowl my friend. Junior Member VERY NICE PICTURE. I WAS WONDERING IF YOU COULD E-MAIL. I WOULD LIKE TO KNOW THESE BIRDS QUALITIES. I WOULD LIKE TO PURCHASE A PAIR SOMETIME IN THE FALL. I HAVE YELLOW LEG HATCH FROM BOB ROGERS, WILLING TO TRADE. JUST BOUGHT THE TRIO NOV 06.